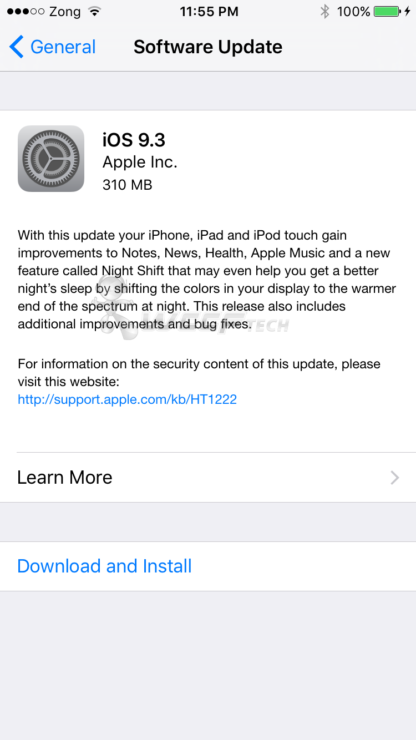 iOS 9.3 IPSW download update for iPhone, iPad and iPod touch has been released by Apple and is ready to be installed right away. 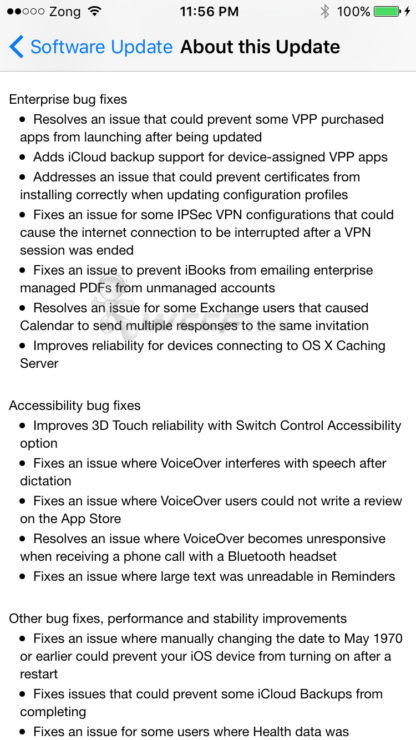 iOS 9.3 is a mighty solid update when you lift the hood and see what Apple has packed inside it. 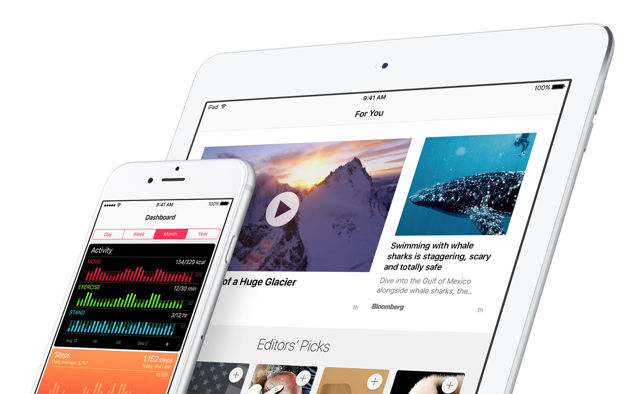 Rather than going with the plain old routine of tossing in bug fixes, performance enhancements and calling it a day, the Cupertino company has thrown in a bunch of great surprises with the release of iOS 9.3 final update. 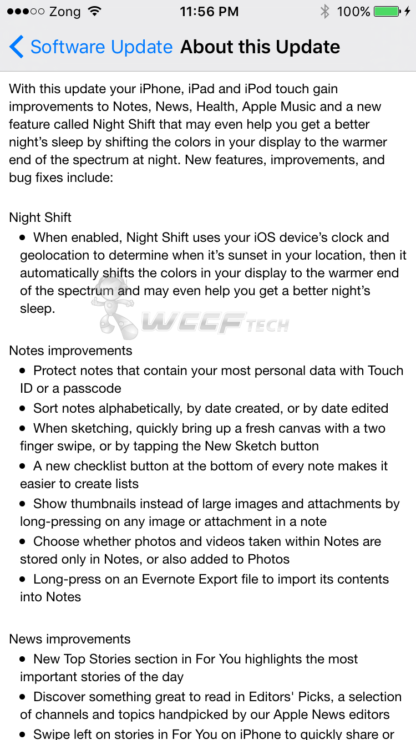 For starters, the update brings with it Night Shift mode, that essentially works like f.lux on a jailbroken device, in that it tweaks the tint of the display (cool or warm) according to time of day to keep things easy on your eyes, subsequently helping you to sleep better at night as well. Moving on, the Notes app now lets you use Touch ID to protect your personal snippets of information, something which just wasn’t possible before at all. If this is to be taken as a hint, then we’re quite certain that third-party developers will be able to implement this feature in their apps as well in some future iOS release. 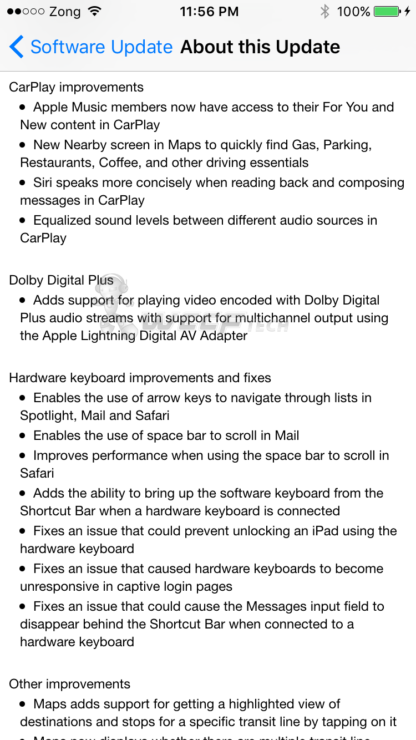 Rest of the updates lie on the News, CarPlay and Health side of the fence, and rather than explaining what those changes are, here’s the complete changelog of the iOS 9.3 final update. 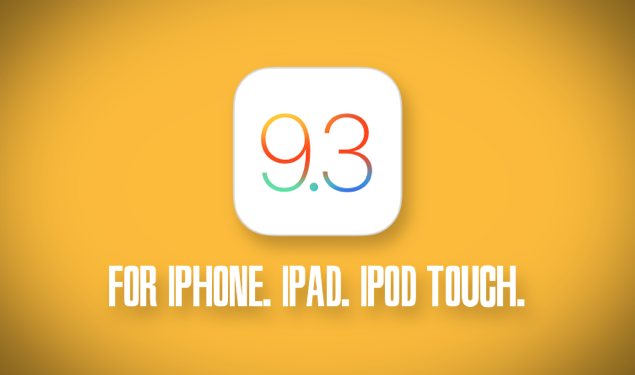 If you already have iOS 9.x installed on your device then you grab iOS 9.3 final update as an OTA download. 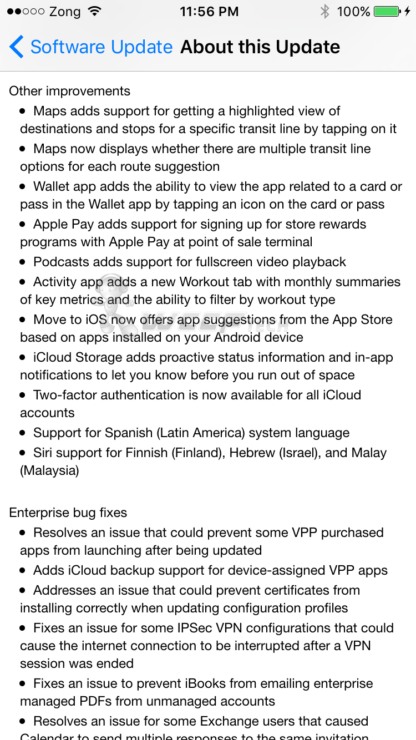 Simply launch the Settings app, navigate to General > Software Update and get downloading. 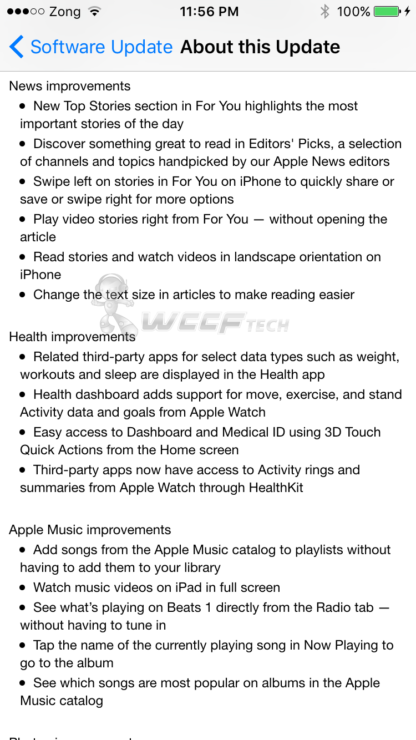 If you plan on installing fresh, then you’ll be needing the iOS 9.3 update firmware file for it, which we have linked for our readers below. Keep in mind that restoring using iTunes will erase everything off your device, so be sure to take a backup of everything beforehand. 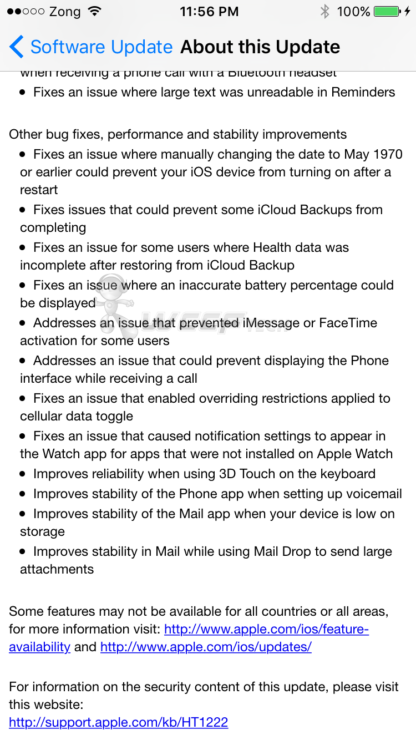 Update: Apple has released a revised version of iOS 9.3 that fixes the dreaded Activation Lock issue. 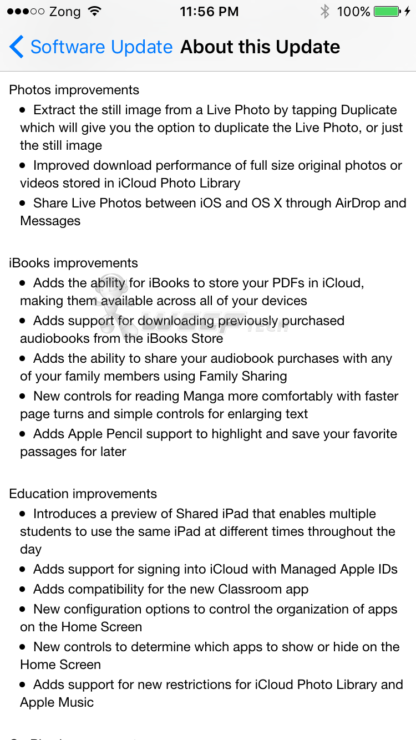 You can download the new and revised version from this link.